Eight months ago, while discussing the Arab revolutions with a friend and colleague, an expert in Jewish Studies, I told him that the Arab Spring will change the Middle East. He was very unconvinced when I predicted that within a year, Israel, too, will have its own uprising. Last week, he was of different mind. He was willing to accept the notion that Israel is on a path of radical change not dissimilar from the changes occurring in the Arab world. Although the mainstream media does not provide adequate coverage of these protest movements, it is evident that, not only the Arab world, but all countries of the region are undergoing major transformations. Simply put, the peoples of the Middle East, including the Israelis, are despondent: they are fed up with the old guard exerting a monopoly on power and wealth. 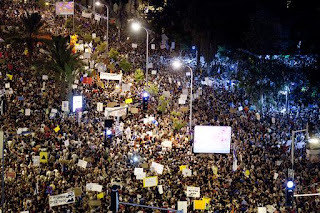 Over the past weekend, a quarter million Israelis took to the streets to protest the high cost of living, poor public services and one of the highest income gaps in the developed world. The slogans resembled those chanted in the streets of Arab cities: “The people want social justice.” For four weeks, tent protest camps similar to those in Cairo's Tahrir Square have arisen in the streets of Tel Aviv and other Israeli cities. So far, Prime Minister Netanyahu and Foreign Minister Avigdor Lieberman had ignored the protesters and on occasions hurled insults at them; Lieberman called the protesters “opportunists.” The number of protesters is growing but the government seems to be unwilling or unable to meet the demands of the protesters. This could be because the Israeli leaders do not see the common thread that make the Israeli protests not so different from those in the Arab countries. Israel is a country of pronounced classes and identities. 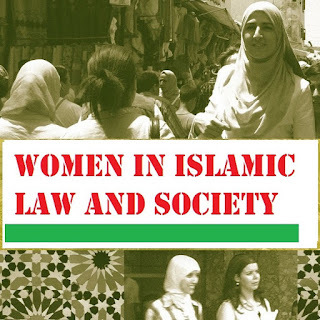 Besides the divide that separates the Jewish Israelis from the Muslim and Christian Israelis, there are the privileges that distinguish between the poor and the rich, the Jews from Europe and the Jews from the Arab and African lands, and the reformed and the orthodox Jews. The multitudes of identities in a country that is built on the idea of a single identity have created a crucial crisis. The economic and social challenges faced by these various social groups highlight one fundamental reality: human dignity remains the most motivating force for change. The monopoly on power and wealth by the old guard of Israel crushes the sense of belonging of those who did not share in the prosperity and government of the country. While in most Arab countries power is passed from father to son while the dreams and aspirations of the younger generations are degradingly ignored, Israel has been exclusively ruled by Jews of European descent since its founding. This monopoly that was made possible through a fragile and archaic political system is disfranchising the rest of the population. Such a system must either reform itself or it will collapse the same way the authoritarian model of the Arab world has collapsed. It may be too early for this to happen, but it is likely that the radical changes in the Arab world, if met by radical changes in the Israeli society and political system will eventually lead to the resolution of the most complex and longest lasting problem: the Palestinian Israeli Conflict. Undoubtedly, solving the Israeli-Palestinian conflict will lead to easing the tension in many other hot spots around the world and will jumpstart a new phase in international relations that promotes non-gendered, non-racialized social justice instead of one that is injurious to human dignity in the name of toxic nationalisms.